Conservatories aren’t just for summer, but there’s no denying summer is the best season to make the most of them. Yes, you can get the benefit of your home extension all year round, but only if you have a well put together conservatory, which is well insulated, properly roofed and with windows fully intact. The best time to start checking the condition of your conservatory and putting updates in place is the start of spring – just when the bitter cold starts to disappear. With warmer days approaching, you’ll start to look forward to spending time in a more naturally lit, airy space. A well built and structured conservatory should be good at keeping both heat and light in or out, depending on the season, making it comfortable and cool when it’s sunny, and warm and cosy when it’s colder. 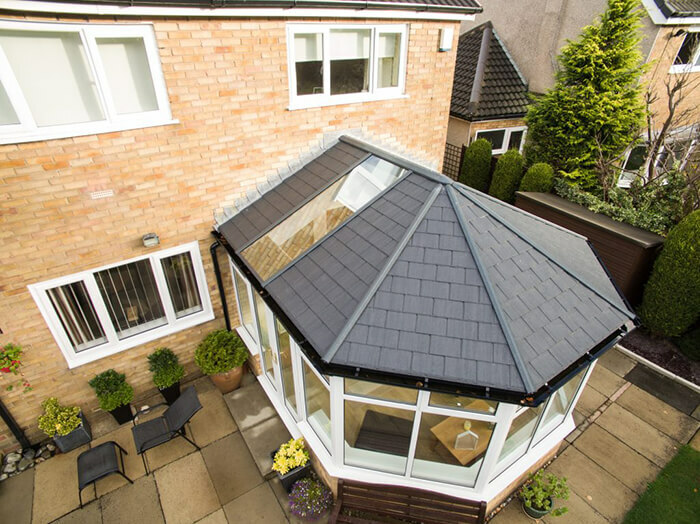 If you have a glazed or polycarbonate roofing system on your conservatory, you may find that the space can get too hot in the summer. Also, you’ll find it makes the space too cold in the winter, so it can be a constant battle. The reason why this can happen is due to poor roof insulation. It is also common for homeowners to find glare in the winter and summer unbearable. People who find this is a problem are turning to tiling their conservatory roofs, so they get the benefit of proper insulation and the good solid structure of a tiled roof. This makes the conservatory ideal to enjoy all year round. You can look into Leka conservatory roofs for a little more information on tiled roofs, which have a great reputation. 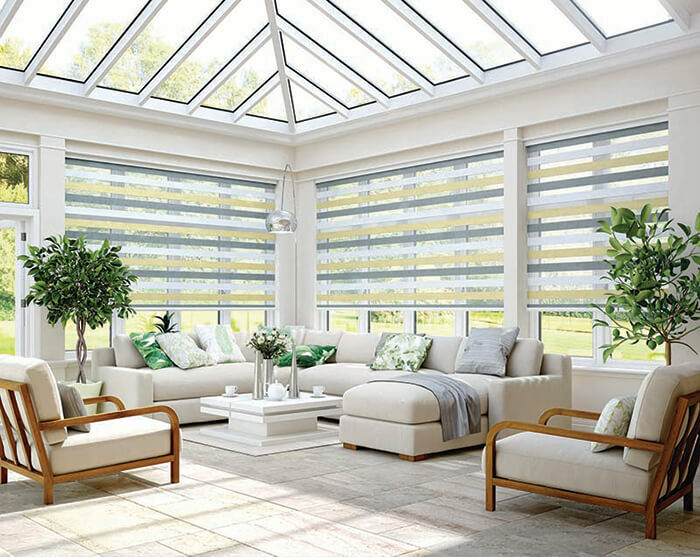 Does your conservatory need window blinds? 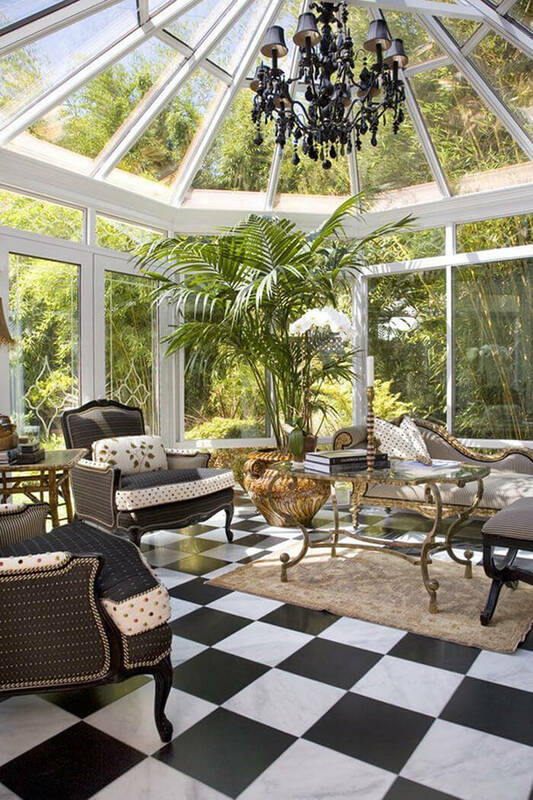 A conservatory should be the heart of the home. In the summer, sitting in this space will provide stunning garden views and give you that extra bit of space. It’s nice to treat a conservatory as a place to find a bit of solace after a stressful day at work. However, if you live in a townhouse or semi-detached, you may wish to give the space some privacy from prying neighbours with conservatory blinds. The great thing with conservatory blinds is that you can tailor them to your own needs. Exotic colours, subtle shades, pleated blinds, roman blinds, Venetian blinds and roller blinds – they are all options to consider, you just have to work these to your home style and budget. These days you can get high-quality blinds which are made-to-measure. They are designed and manufactured to provide solar protection and maintain their appearance for many years, even in the extreme conditions of a conservatory. An instant way to freshen up and make your conservatory resemble a beautiful, calm space is to flood the room with plants. Bringing the outdoors in works really well with conservatories, as you’re pretty much ‘in’ the garden anyway, and most of the time these spaces are looking right out into the garden. 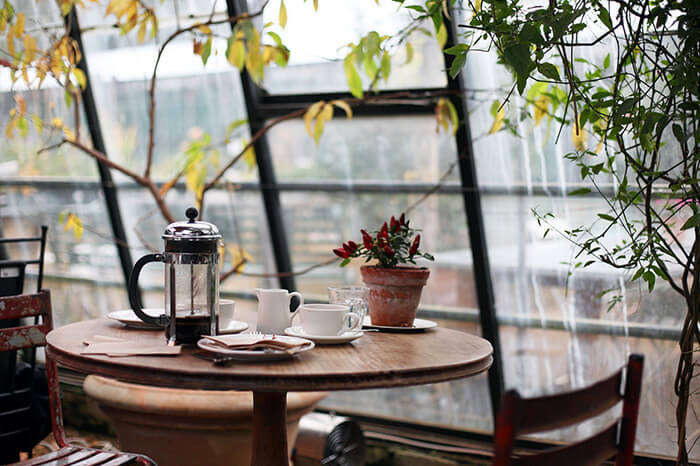 Particular plants thrive in the light and warmth of conservatories, so it’s useful to do some research on the best plants to keep in this room during the summer. Remember not to go too crazy though. It’s a conservatory and not a greenhouse! Just a couple of larger floor plants along with some pretty pots of leafy types and colourful blooms will do the job. You’re conservatory is a huge addition to the value of your house, and should be treated as a precious room which has the ability to bring in natural light. 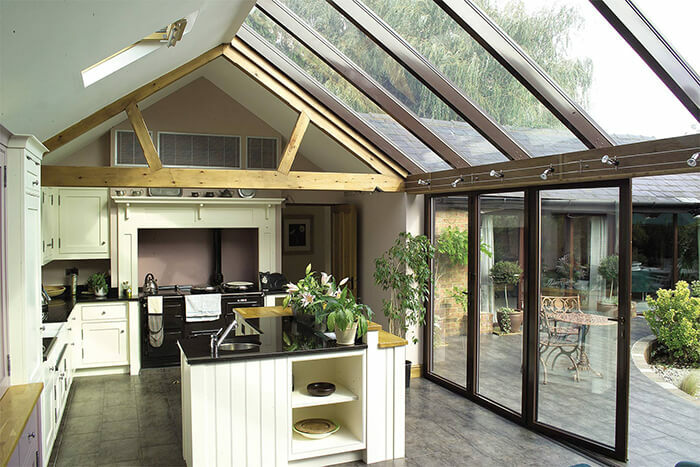 If you think of your conservatory as just an ‘add-on’ to your home, it will always look and feel that way. To give your conservatory the feel that it’s another important room in the house, you need to create a flow between your rooms. This can be done by using the same flooring, window coverings and colour schemes so that your extra room is a seamless extension to the rest of the house. If your conservatory leads on from the kitchen or dining room, make sure that there is no break in the floor covering that extends into the two rooms. Also consider the colour of the blinds in the conservatory, checking that they blend in really well with the colour scheme of the room overall. Just by ensuring the space matches the rest of the house will make it feel cohesive and welcoming. Most people dream of having a conservatory and view them as a luxury to have in the home. With this in mind, look after yours and treat it as a focal point space. It is a space to be proud of, and one which when constantly kept on top of, you can enjoy dreamy summers in the conservatory year after year.